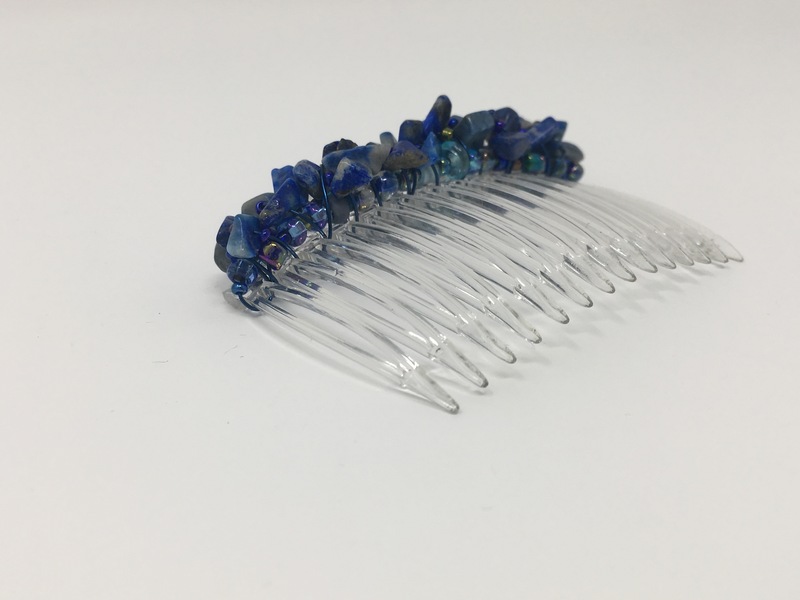 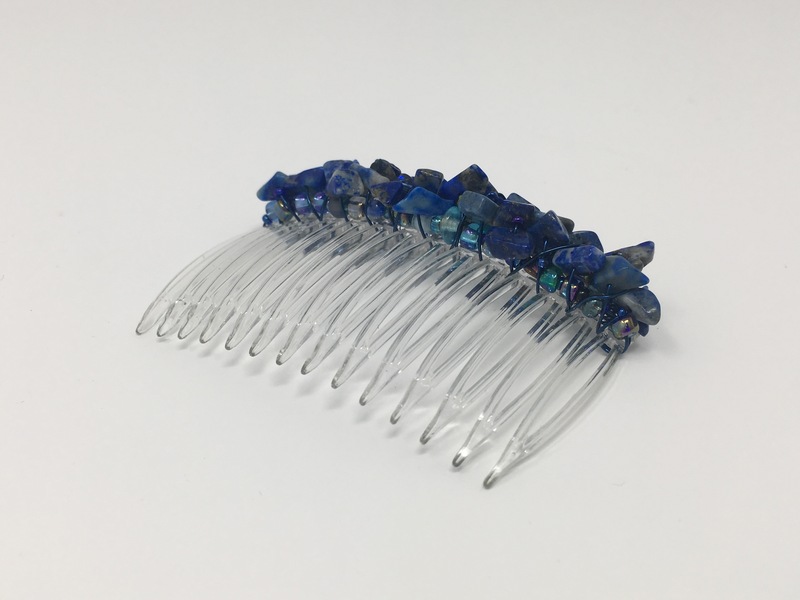 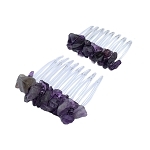 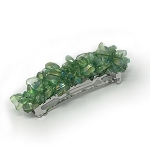 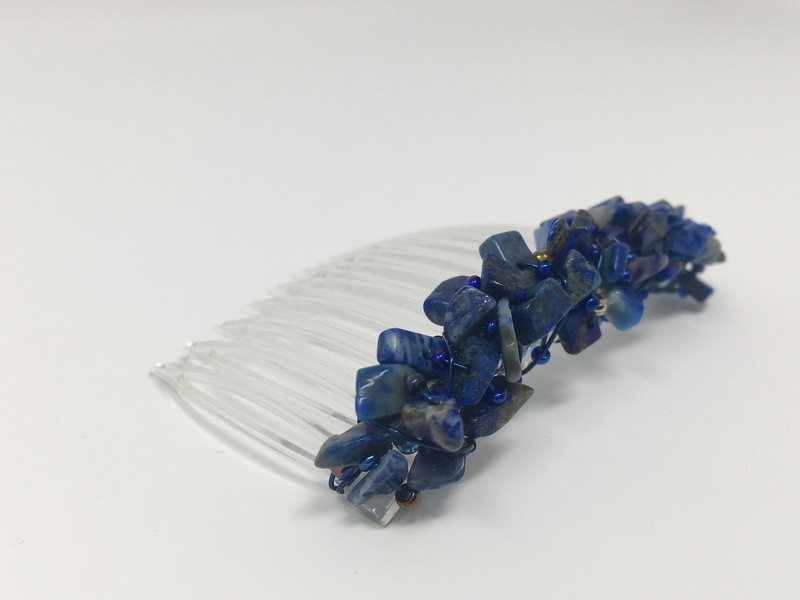 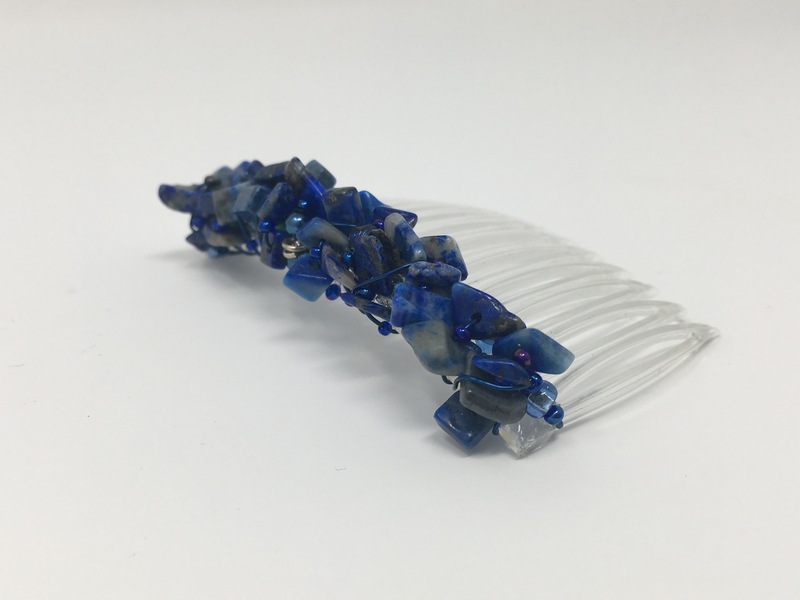 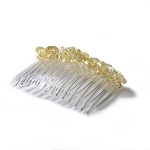 Lovely hair comb of Lapiz Lazuli nuggets wrapped with coordinating glass beads and wire. 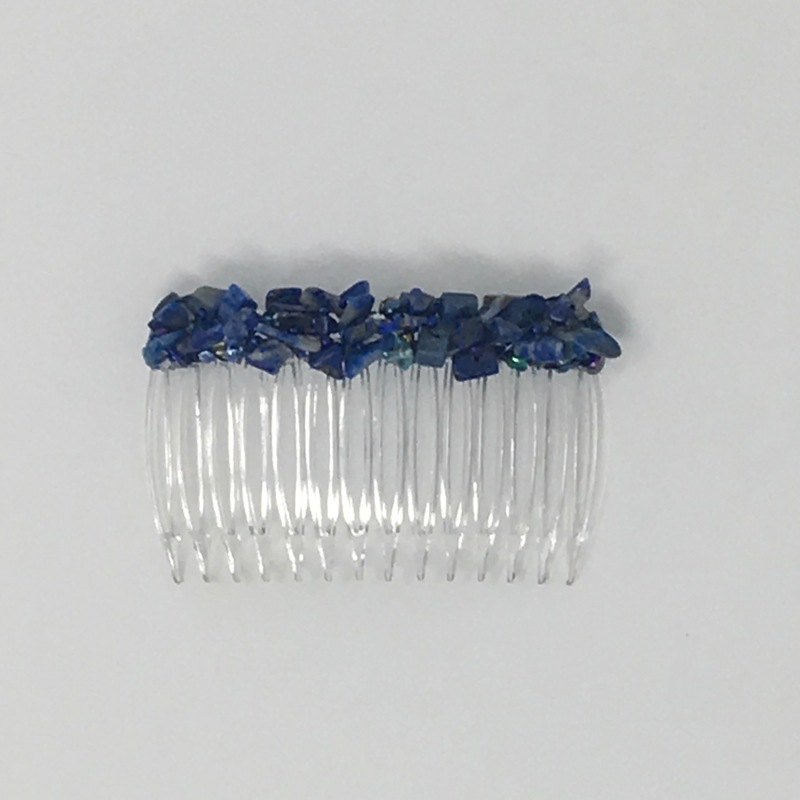 This one is 70mm (2 3/4 inch). 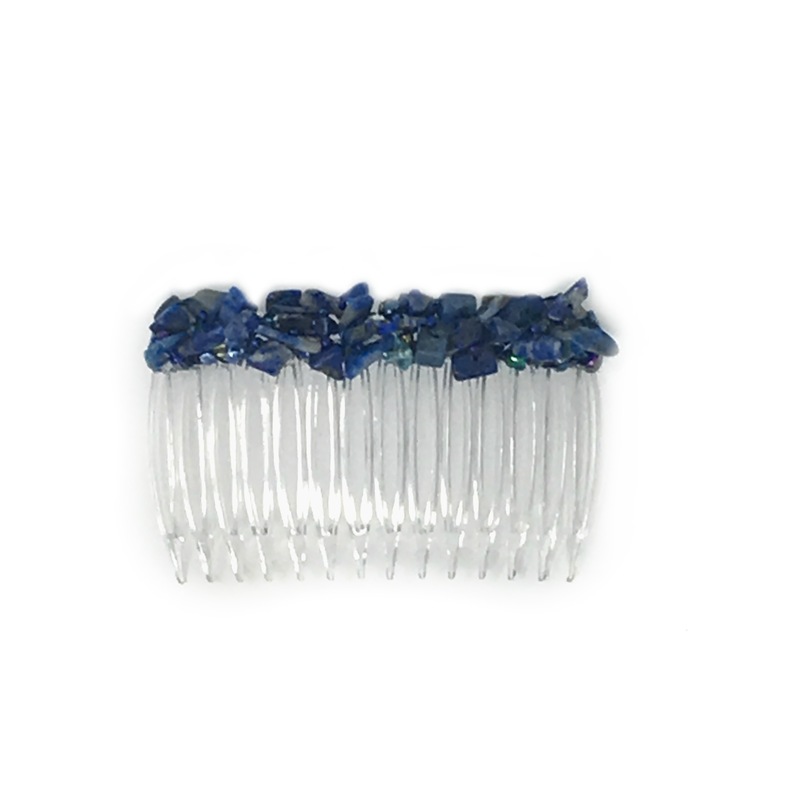 In stock and ready to light up your life!